These high-value Philips LEDs offer durable, shatter-free plastic construction. 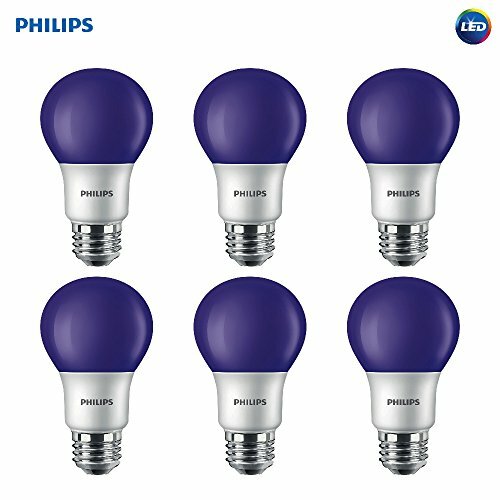 Philips LEDs turn on instantly with energy-efficient flicker-free, natural light that won’t degrade over time. LED light bulbs last up to 10X longer than incandescent and halogen bulbs. Unlike fluorescent and compact fluorescent bulbs, Philips LEDs are mercury-free so they don’t contribute to hazardous waste. Products and prices are accurate as of post time: Friday, April 12th, 2019 5:30:19 AM Eastern Standard Time, prices and availability are subject to change.